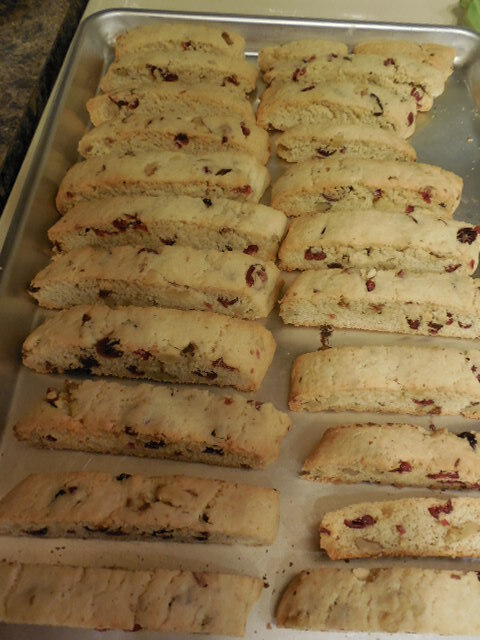 Here at Everything Biscotti we believe that there isn't anyone who doesn't love homemade biscotti. If you know someone who says they hate Biscotti, it is because they have not tasted homemade versions of this delectable Italian cookie. I believe there is a “Biscotti Lover” in hiding in each of us. Biscotti makes the quintessential lunch box treat, the perfect after school snack, an enjoyable afternoon tea or coffee accompaniment, and a satisfying midnight nibble. They are the perfect, portable, sweet treat for both children and adults and a natural choice for our busy, hectic, modern lives. And when you control the making and baking they are the absolute ultimate comfort food. You will you agree! Anybody Can Learn to Bake Biscotti! My mother might tell you that if I was able to learn basic cooking skills, and go on to make and bake some of the best Biscotti ever made, there's hope for just about anyone. 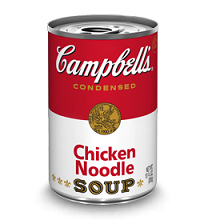 She has this great, embarrassing, story about how, at the age of eleven, I still didn't know how to heat up a can of Cambell's Soup. And to be perfectly honest it’s true. But I've come a long way since then... I've learned to love cooking and baking. Even though I don’t bake every day, I take pleasure in eating something delicious that I made myself. Something that is not full of all the additives that commercial products abound with. I've learned quite a few tricks and techniques over the years, and it's made a world of difference for my baking skills. 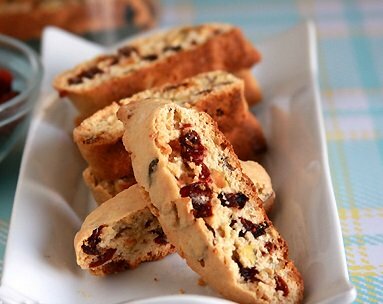 I fell in love with biscotti several years ago, at an Italian cooking class. To be honest one more time, "I took the class hoping to find the love of my life". Well I did, but I guess that God had something different in mind than what I was thinking about. So I created this website to pass on what I've learned about making the finest Biscotti! Because it's not that hard – anybody can learn how to bake, and with a little practice you will be making biscotti....toooo...die fooor. And once you do, you will have found the best bakery in town is right in your own home. As a kid growing up I could care less about cooking and baking, except for the eating part, it was mom’s job. When I got married, I believed in shared responsibility and that included the cooking, and cleaning (well not cleaning). Whenever we had a family party, I always helped out......like...I did more than run for beer and ice. And that is when I really learned that I liked to cook and was good at it. Every time I made something I tried to improve on the recipe, usually with good results. I may not have known how to make a boxed mac and cheese when I was eleven but once I started cooking and baking, I wanted what ever I made to be the best anyone had ever eaten! I went into sausage making, smoking, and grilling with a passion. Of course, at some point I realized that every meal needed a good ending, and that it usually involved something baked. 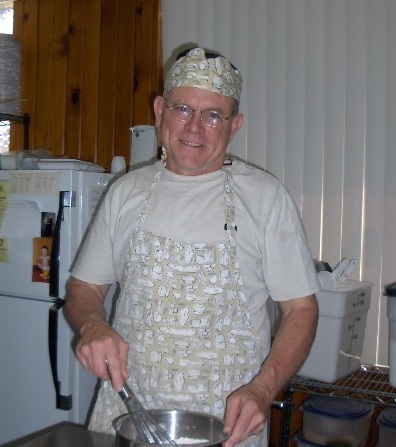 So I started to hover in the kitchen of my former wife and my mother, learning all the basic baking skills I could. I practiced, and I went online and found recipes. And I found out that baking something good isn't so hard after all. In 2007, after 20 plus years of marriage, my wife and I went our separate ways. That is when cooking became more than just a fun thing to do. If I wanted to eat, I had to cook, and the idea of opening a box and popping it in the microwave was not what I considered cooking. Going from the responsibility of being married to being single and having more time to do whatever I wanted, took a bit of adjustment. Meaning..... I had to find something to do or I would have gone crazy from loneliness! Having evenings free of married life responsibilities meant I could spend as much time as I wanted cooking, and learning to bake. I took to it with passion, inviting friends and family over for dinner and cooking and baking desserts they would enjoy. I started with the more traditional baked goods, cookies, cakes and pies. Soon I started to buy every cook or baking book I could find at a bargain price. Next thing I knew, I was making unusual goods that mom’s don’t usually bake. I found that everyone I cooked for came away quite happy and satisfied..... well most of the time. If I said I never cooked or baked a flop, I would be lying. Soon I moved to the challenge of baking bread. You can buy good bread at a bakery, but it gets expensive and still does not match baking it at home and putting on the table while it is still a bit warm. So bread quickly became the highlight of the meals I prepared. After all, who doesn’t like fresh baked breads and rolls? 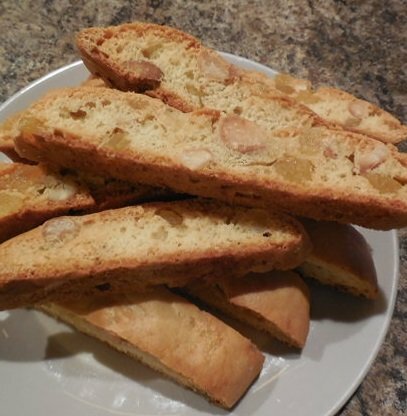 Until I took that Italian cooking class, I don’t think that I even knew what Biscotti was, let alone the history of this Italian cookie and how to make it. I took the class because I was bored and lonely, hoping to me a nice gal. Well like so many of my other attempts to find the love of my life, it turned out that the ladies were either young enough to be my daughter (yea, I’m a bit older) or married. I wasn’t into breaking up marriages so; I figure I would just have as much fun as I could. We came to the night for deserts, and one that we made was Orange Biscotti, with Walnuts and Cranberries (still one of my favorites). I was a bit more than intrigued, and began looking for more recipes, which led to wanting to know everything I could about this Italian delight. I started baking it regularly and giving it away to everyone I knew. But there's only so much we all could eat and my passion exceeded that. I had to figure out how to satiate my interest and quell my obsession, so I created this website. My goal with this website is to show you and others how to make the best biscotti you or anyone else has ever had. It is something anyone can do. And it is something you can actually learn to love. I think that the best way to learn how to make Biscotti, if you’re new, it is to start with the Easy Biscotti Recipe Collection. Once you master those, don’t stop there, move on to the more difficult or complicated recipes. After a bit you will feel comfortable moving into the Gluten Free Biscotti or Sugar Free Biscotti and will soon be sharing baked goods with your friends who have health concerns. I do my best to explain what you have to do and why you should do it. I have re-written recipes into a standard format so that you won’t miss something or do it out of order. It's amazing that knowing how and why, can make all the difference. 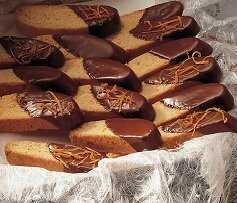 Baking biscotti may seem difficult at first, but it is not really difficult, just different, in that you bake it twice. I am sure that you have learned something new before. Well, baking is the same way. If you know the fundamentals of what's going on, then suddenly a whole new world opens up for you. With all the help you will find in here, in no time at all you will be and experienced baker! And your friends and family will love you for it! We are committed to creating the best resource on the web for all things biscotti —with the best biscotti recipes, lots of biscotti baking information and tips, reviews of our favorite products, gift and party ideas, and so much more. So, while you might think the name of my site is a bit haughty, it was never meant to come across that way. I just followed the wisdom of beginning with the end in mind—and while I am not there yet, it is my clear intention to someday be the "Go To" site on the web for all biscotti bakers and lovers. Everything Biscotti brings you more than just the best recipes ever! 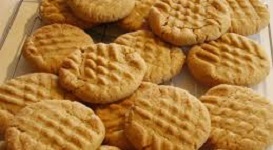 More Cookie Recipes where you will find the tastiest cookie recipes. 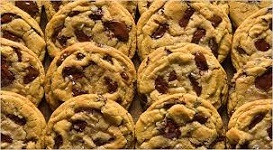 Care To Bake you will find free recipes, baking tips, tricks and new friends.